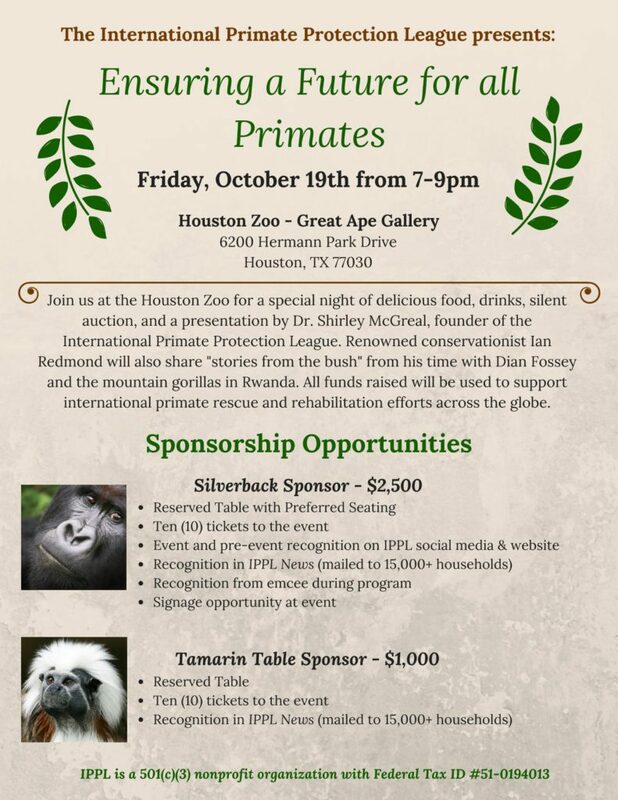 We invite anyone who will be in the Houston area on October 19th to attend this incredible dinner at the Houston Zoo presented by the International Primate Protection League. Speakers include Dr. Shirley McGreal, Founder of IPPL, and Ian Redmond, renowned conservationist and former student of Dian Fossey.  All proceeds will benefit IPPL’s international work to save primates in their native lands. 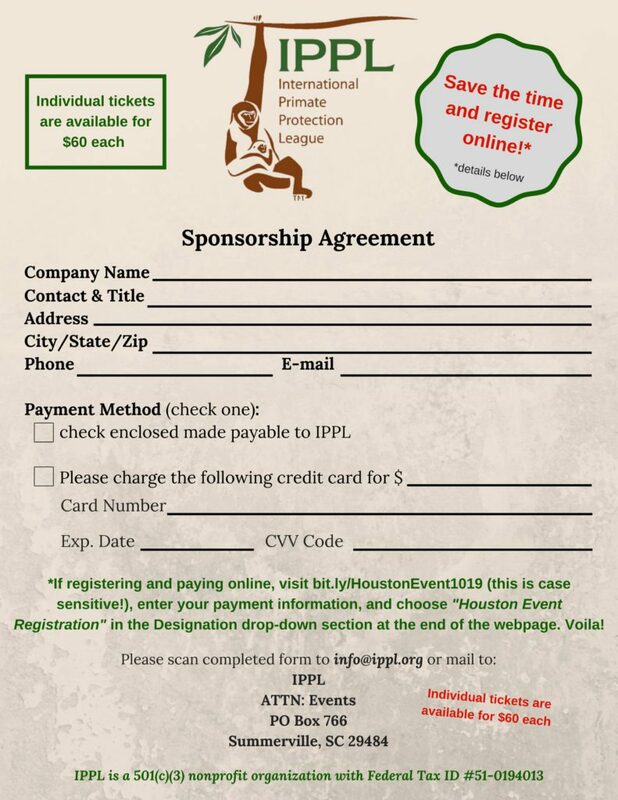 You can purchase tickets by visiting our donation page and choosing your selection from the listed “Houston Event” donation options. Or, you can download the form here and scan or mail it in. Call or email us with any questions. 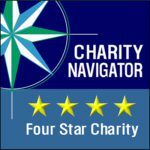 We look forward to seeing you in Texas!